So the first lady and I were in Wilkes-Barre for a wedding, and although the wedding was the main event and we were on our way to dinner, I never waste a trip to Luzerne County when it comes to trying out a new pizza! To my defense I hadn't eaten all day and needed a little nourishment before dinner, and I haven't exactly been lighting up the NEPA Nation with Pizza Reviews lately! 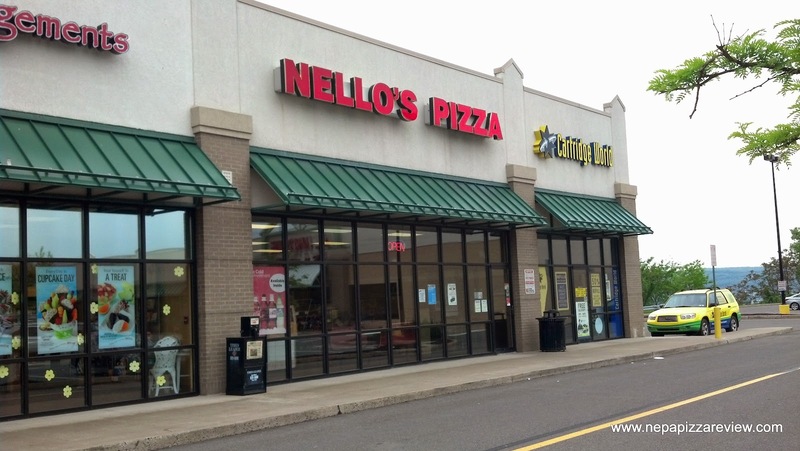 We needed something quick, and I remembered there was a pizza in the strip mall over by Walmart so we headed in that direction before jumping back on I-81. 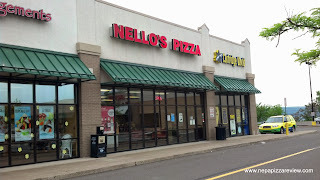 As it turns out, I remembered correctly and we found Nello's Pizza. I'll admit that we were on a strict time budget for this review, so my impressions may be a little rushed. 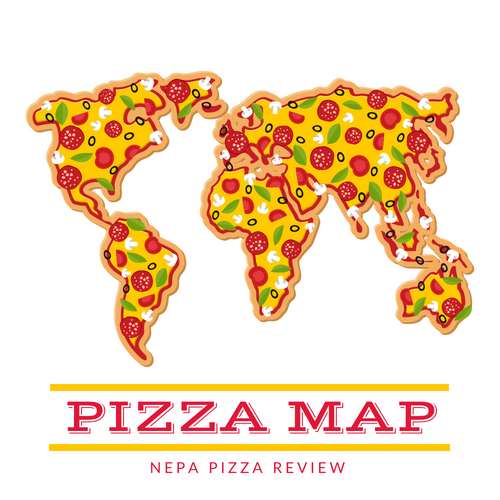 The overall decor of this place is your standard strip mall layout with wooden booths and a display counter with several premade slice pies ready for you to place your order. We arrived at an off-time between lunch and dinner so I wasn't expecting super fresh pizzas, but surprisingly they were in pretty good shape. 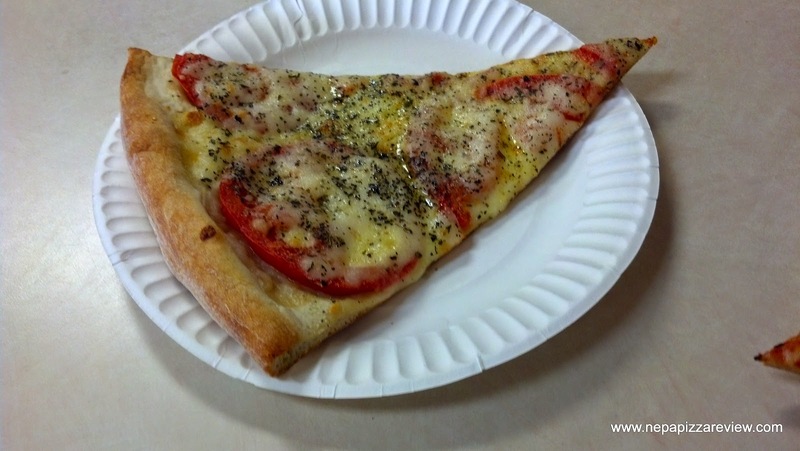 We placed our order for two plain slices, and I couldn't resist adding a white tomato basil slice to my order since it seemed to be calling my name. I crossed my fingers that the pizza maker would reheat our slices thoroughly, which fortunately he did. 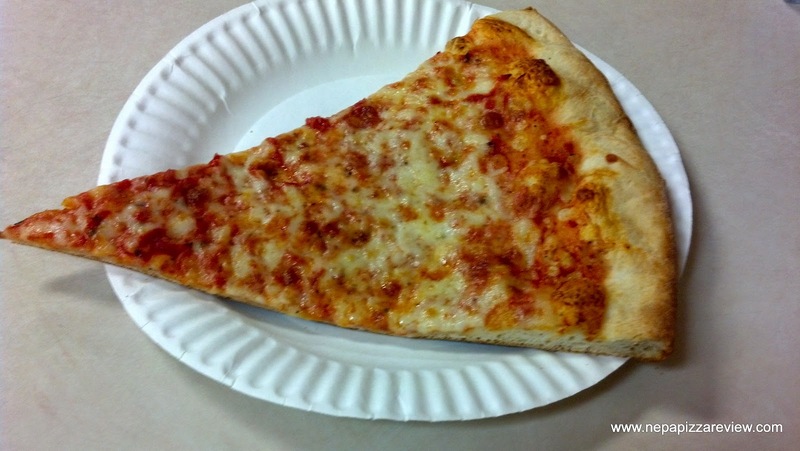 The slices came out piping hot and crispy, which was refreshing. I was a big fan of the crust as it was crispy, thin, tender, flavorful, and had a nice bubble pattern. To me this was the highlight of the pizza and really the only thing that stood out. There wasn't quite enough sauce for my liking and as a result the slice was a bit dry, but this could have been a byproduct of the very nature of reheating a slice. The sauce was certainly not a deal breaker, and the cheese was your standard mozzarella. Overall, I would call this an above average mall pizza. It's a safe bet, and I'm sure most people would enjoy it. As I bonus review, I thought the white tomato basil slice was quite good. I enjoyed the thick slices of tomato which added the moisture that I desired from the previous slice. The whole thing was very well seasoned and had a nice balance to it. The first lady didn't complain about my garlic breath later on in the evening so it must have been seasoned appropriately! Finally, a side note...after I checked in at Nello's on Foursquare, I received a couple messages noting that the Hot Wing Pizza is to die for here. I did not try it, but I thought I would share for your information!